Build relationships with kids or students as you guide them through provided curriculum and discussions. This is an opportunity to connect with our Children’s and Student ministries by leading a group of children or students as they grow closer to each other and closer to faith. Greet and assist new families at the Jeep. This team of individuals may be the first to meet a visitor or a family trying to locate kid/youth classes. This team will be located at in different location: the Jeep, check-in stations or in the halls smiling and greeting, guiding and helping with whomever they meet find their way. Work with a team to lead worship and deliver a Biblical message to children or youth. 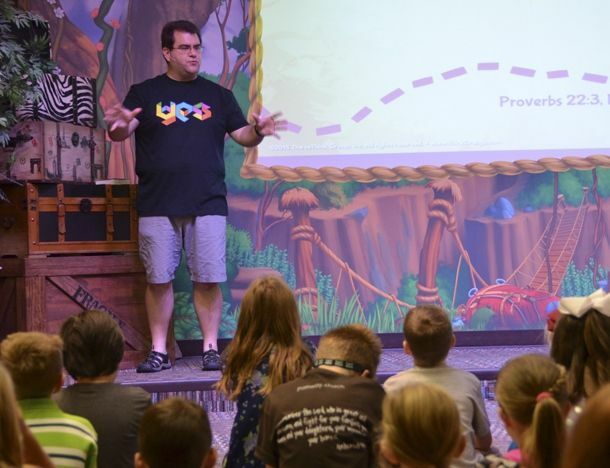 These groups are divided up by ages to provide a Bible story/lesson in fun energetic (funny and serious) manner using scripts /props for Kids/Youth/ and Families for weekly and identified events. Provide technical support of the different family ministry programs. Provide technology support to large groups teams weekly as well as trainings, or events. Equipment available are Mac computers, sound board and lighting. Provide clerical help or organize and prepare resources to weekly small groups or events. Behind every good team are organized behind the scenes individuals. 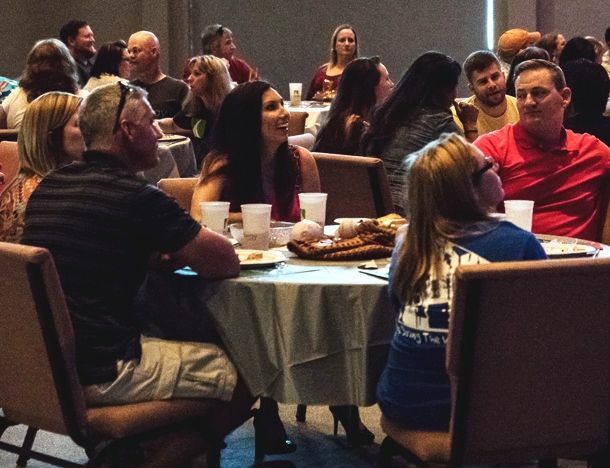 These individuals assist in one of two ways: Administrative- keeping up with logistical needs that go into our week-to-week ministries and our various celebrations or Resource Support- gathering and preparing weekly supplies for small groups or events. Encourage, equip, and support the small group leaders. Support for the Small Group Leaders. This includes physical, emotional and spiritual support before during and after service. Coordinate opportunities for students, children, and families to serve together. Join with us if you have a passion to connect families with opportunities to serve in our community and beyond. This includes coordinating serving opportunities with existing church ministry partners and possibly new needs that may arise.